A novel graphene-based biosensor enables digital detection of genetic mutations from a patient’s DNA sample. 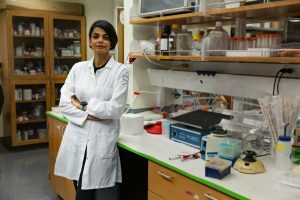 A team of academic and industry researchers in California has developed a new technique that further demonstrates the utility of CRISPR-Cas technology in the diagnostic space. The researchers have developed a novel graphene-based biosensor, named CRISPR-Chip, that enables digital detection of a specific genetic mutation from a patient’s DNA sample, without the need for amplification or sequencing. The hand-held device utilizes the sequence-specific gene-targeting properties of deactivated Cas9 complexed with a specific single guide RNA and immobilized on a graphene-based field effect transistor. The CRISPR-Chip is reported in a March 25th paper entitled, “Detection of unamplified target genes via CRISPR/Cas9 immobilized on a graphene field-effect transistor” in Nature Biomedical Engineering. The CRISPR-Chip, following last week’s launch of the (unrelated) Sherlock Biosciences, focused on CRISPR diagnostics, is solidifying the hard tack CRISPR-Cas is taking into this arena. The CRISPR-Chip collaboration includes researchers from UC Berkeley, KGI, Scripps College, and Claremont Mckenna College, as well as two young bioscience companies—Cardea Biosciences and Nanosens Innovations—both in San Diego. Described in an accompanying video released by Nanosens, the CRISPR-Chip prototype overlays thousands of CRISPR-Cas molecules on a graphene transistor, which is sensitive to electrically charged materials such as DNA. 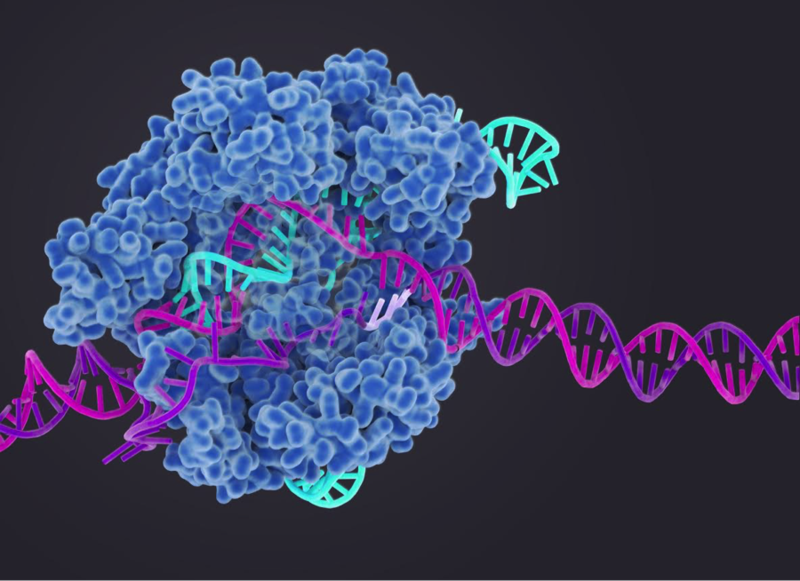 If the CRISPR-Cas molecules fail to detect a target gene in the sample, the DNA will be released without binding. However, when a perfect sequence match is found, the capture of the sample sequence binding will create an additional charge on the graphene surface, which is sensed by CRISPR-Chip and read out as an electrical signal. In the new report, Aran’s team used CRISPR-Chip to analyze DNA samples collected from HEK293T cell lines expressing the bfp gene, which encodes for blue fluorescent protein, a gene commonly used for validation of CRISPR-Cas gene editing. They also utilized clinical samples from patients with Duchenne muscular dystrophy (DMD) which is caused by mutations in the dystrophin gene. Although mutations can occur across all 79 exons in the gene, the most frequent deletions occur at exons 2–10 and exons 45–55. The team used CRISPR-Chip to detect mutations at two of these commonly deleted exons (exon 3 or exon 51.) To do this, two CRISPR-Chip constructs were incubated with tissue derived genomic material from male DMD patients with identified, known DMD mutations. CRISPR-Chip was able to specifically detect the deletions without any pre-amplification. “We need about 1/10 of the amount of DNA from a cheek swab,” notes Aran. She says the technology is “pretty exciting, because we’re skipping most of the lab processing that’s usually performed on those DNA samples.” The hardware required is about the size of a large cell phone, and can be run from a laptop, and in the future as an app on a mobile device. Despite its promise, one DNA molecular electronics expert (who requested anonymity) told GEN that the article has a relatively thin amount of experimental data that raises doubts that this is working reproducibly. The expert would like to see evidence that the system can detect conformational changes in a single molecule, noting that it performs an ensemble binding measurement and that the signal the chip detects is from the contribution of maybe millions of large DNA molecules interacting with the surface. Regarding detection, Goldsmith notes that “with [this] system, you could absolutely PCR amplify DNA to the point that you could measure from any starting pre-amplified concentration. You would also have the same background problems any DNA amplification process brings. This is exactly what everyone else does, but very few people talk about what can be done to detect DNA without amplification (because most techniques can’t do it).” He calls into question the assumption that it is always a good idea to amplify DNA and notes that they think that DNA amplification like PCR should only be used when it’s absolutely necessary, because there are a lot of practical problems to using it outside of a research lab. The lab tool will be ready this year, according to Aran, who says her team is already producing devices with Cardea and using them together with KGI. They are talking to several industry partners about potential partnerships. Aran says they have seen a lot of interest in the lab version of the CRISPR-Chip but that moving into the clinical space is more complicated. “A clinical tool requires clinical trials, a mature regulatory strategy, and an understanding of the billing practices in diagnostics,” Aran said.